CT Monuments.net » Civil War Monuments of Connecticut – Buy the Book! We’re proud to announce the publication of the second edition of our almost-best-selling book, Civil War Monuments of Connecticut! 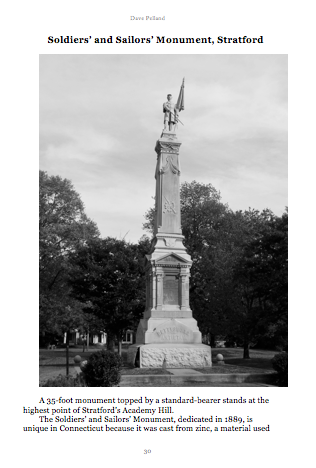 As we did with the first edition, Civil War Monuments of Connecticut provides detailed descriptions of the monuments, as well as information about each monument’s location, artist and history. Whether you’re interested in learning more about your town’s monument or want to explore Connecticut’s back roads, our guidebook will help you find Civil War monuments and understand each monument’s history. Civil War Monuments of Connecticut also highlights monuments honoring veterans of the American Revolution, the World Wars, Korea, Vietnam and other conflicts. This second edition adds the Civil War monuments dedicated in past couple of years, as well as a couple we missed the first time. Most people who think of New England Civil War monument picture a granite solider standing on a pillar, but Connecticut’s monuments feature considerable design variations. In addition to infantrymen, you also see flag bearers, obelisks, archways, allegorical figures, domes and even simple plaques mounted on boulders. 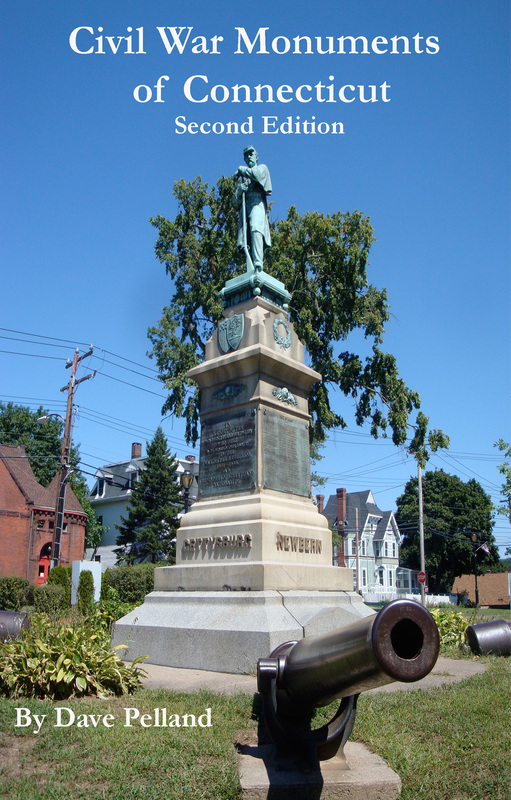 Connecticut’s Civil War monuments were made of different materials — granite, marble, bronze and even zinc – and were dedicated at dates as early as 1863 (in Kensington) and as recently as 2011 (in Bristol and Hebron). Regardless of the form, the intent of these monuments is the same – to honor the sacrifice of the residents killed in the war, show appreciation for those who served to defend the Union, and inspire future generations. With detailed descriptions of the monuments, and information about each monument’s location, artist and history, Civil War Monuments of Connecticut is a helpful resource (and a great holiday gift) for Civil War and public art enthusiasts. Civil War Monuments of Connecticut is available in paperback and Kindle editions from Amazon.com.